Scientists working with four of the most sensitive observatories ever built have discovered a galaxy that seems to contradict theories of cosmic evolution. Astronomers from Caltech using NASA's Spitzer Space Telescope, Japan's Subaru Telescope, the Hubble Space Telescope and the James Clark Maxwell Telescope recently announced that they have found a distant galaxy that is creating stars at an anomalous rate, over 400 times faster than the Milky Way. Nick Scoville of Caltech is quoted as saying: "The incredible star-formation activity we have observed suggests that we may be witnessing, for the first time, the formation of one of the most massive elliptical galaxies in the universe." Combined observations from all four telescopes, especially infrared images from James Clark Maxwell, indicated that the so-called "Baby Boom" galaxy was shining brightly in high-frequency infrared and low frequency radio waves. According to standard theories, when stars ignite they emit light in the ultraviolet range and disgorge vast quantities of dust from the nebular clouds out of which they condensed. Because young stars are intensely hot, the radiant energy from their exuberant consumption of nuclear fuel heats up the surrounding dust cloud, causing it to glow like a comparative ember in the distance. 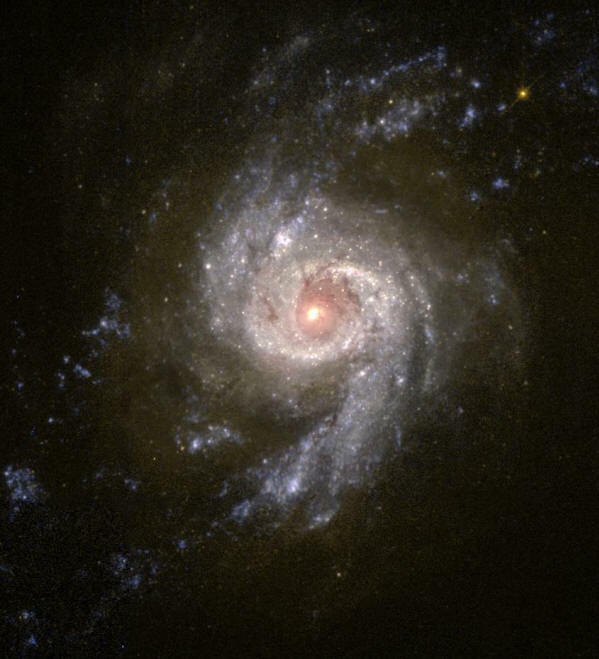 An analysis of the new galaxy's redshift places it at 12.3 billion light-years so its infrared brightness (implying a significant population of young stars) makes it a special class of galaxy called a "super starburst", much more active than NGC 3310 for example. NGC 3310 is a "starburst galaxy" thought to be giving birth to new star clusters faster than most galaxies in the catalog, but it is still slow compared to the newly tagged super starburst. New images show several hundred star clusters representing the formation of up to a million stars in a process that is stated to take less than 100,000 years. Along with hundreds of clusters, individual highly luminous stars can be seen. The overall time period for the formation of the entire elliptical is calculated to be less than 50 million years based on 4000 star birth events per year. All of the time span estimates, the distance calculations and the ages of the objects under consideration are based on the premise that galaxies and stars are compressed out of diffuse clouds of dust and gas that coalesce under the influence of gravitational attraction. The material reaches a temperature sufficient to cause the hydrogen and helium at the core of the compacted spheres to undergo thermonuclear fusion and start the process that leads to a new star (or a new collection of stars). 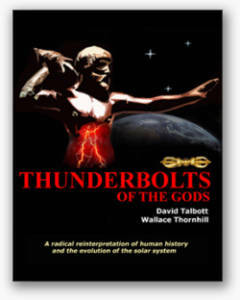 If gravity, density and thermal shock are considered without considering the concepts embodied by Electric Universe theories then it makes sense that the measurements are interpreted as they are. Rather than each new remote observation being identified with "extraordinary properties" or "baffling results" or "mysterious events", it seems like it would make more sense to add the electrical properties of matter in its plasma state to the theoretical formulation and sew up the loose ends. Electrical energy is orders of magnitude more powerful than gravity. “Plasma ropes” that comprise Birkeland currents attract one another over distances in a linear relationship rather than through the “square-of-the-distance” proportions of gravity. That makes Birkeland currents the most powerful long-range attractors (and also short-range repulsors) in the universe. Electric currents flowing through dusty plasma beget and sustain the stars and the galaxies. 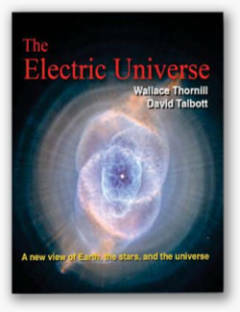 The divergence between the Electric Universe model and the standard model is based on plasma, which comprises 99% of the universe. Plasma tends to obey the laws of electromagnetism, so gravity and kinetic interactions are subsidiary. 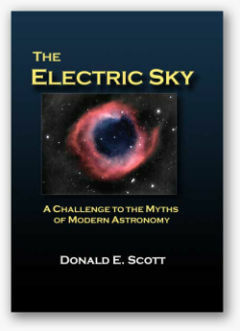 The celestial bodies and their interactions are to be understood principally in terms of electrical circuits.